Is the battle for the future of Naas town centre lost? 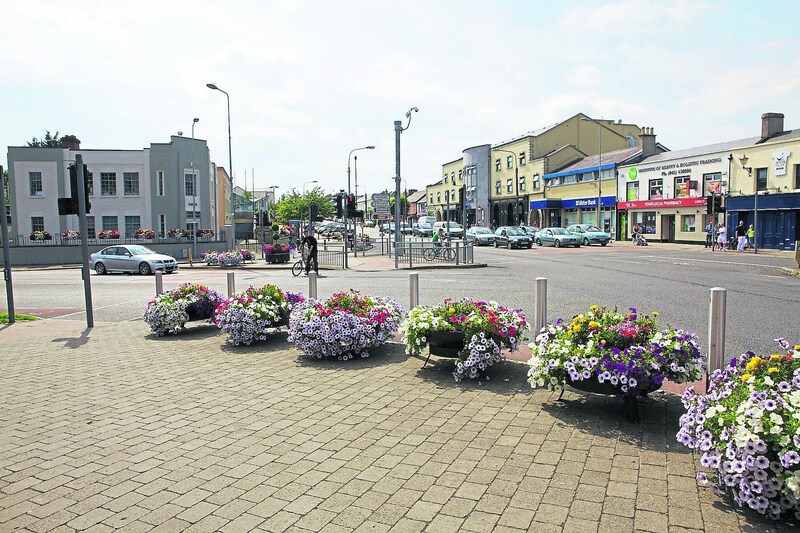 If this were an election, Naas would now be drawing close to the point of concession over its vision to restore the town centre to its perceived former glory. It is with some regret that I write that sentence and this isn’t another nail in the town’s coffin lid, more a grudging realisation that the population expansion around the edges has, and will continue to, drive the community focus further away from the middle. The penny really dropped this week when I read about the new Naas community centre that is opening in Monread! For a moment I couldn’t quite figure on that decision. Because the scheme sounded like it would make a perfect fit with the Town Hall. That’s the Naas Town Hall in the middle of a town desperate to win back a better community experience. Only that’s not the centre anymore and hasn’t been for some time. I emailed this newspaper’s editor. It felt symbolic. Not in the same ballpark as the relocation of the US Embassy to Jerusalem from Tel Aviv, but symbolic nonetheless. Remember, only a few months ago a lot of local people were left seriously aggrieved by yet another shop closure in what constitutes the centre of Naas. At the time, I believed the battle was about preserving the community of Naas, but now the battle is glaringly obvious and its for two very different expressions of Naas and its community. The fight for the future of a town centre is also a combat issue in town centres across the UK. They are a bit further down the road, but after spending a shed load of money and plenty of head scratching, they’ve come to the conclusion that you counter the kind of decimated retail landscape Naas has experienced by situating community services as well as shops units, and residential and recreational space, in the centre. The received wisdom is that people generally tend to enjoy living in a community that can serve its needs, both practical and sociable. Most important is the conclusion that the solution can no longer be retail based alone. In England there’s examples of concerted efforts to fatten up the middle. But the emotional response that followed this retreat from the middle and the shop closures is no match for a legacy of poor planning. And unlike other medium sized towns in the UK and Europe, there appears to be no great move to reimagine Naas town centre as a place to live, as well as shop and socialise. I look at Newbridge, and let’s call it right here, it’s a town so often derided by Naas people, and I wonder how, despite being separated by no more than a couple of kilometres of tarmac, they’ve managed to retain what Naas is losing in spades. Obviously, there are some natural advantages like the Curragh which has acted as a dam protecting a spill of houses onto the plains. But the community focus in Newbridge is fixed in the centre and the Whitewater Shopping Centre, St Conleth’s GAA Park and the Riverbank Arts Centre stand as towering symbols to that fact. Retail, food, entertainment and the provision of choice are increasingly scattered around Naas, but in Newbridge the heart of the community beats from the inside out. In Naas that reads from the outside out. This is no revelation, just an acknowledgment that there’s been a creep towards community concentration in one town of similar size in the county and the opposite is true for its competitor, despite some well placed intentions. And in one fell swoop, Newbridge flattens the argument that what’s happened in Naas is nothing but an inevitability. Don’t get me wrong, I don’t buy into the vista of desolation so often attached to Naas town centre. I love Naas town, then and now, but that’s born out of sentiment. And while there have been some notable successes in the renewal of what was once Superquinn and the further development of Lawlor’s Hotel there are heavy defeats in the stalled renewal of Poplar Square and the never-ending sage of the shopping centre. A fuller, more substantial future, is going to take much more than these kinds of victories and defeats. But if the war really is done, the winning of this important battle is going to take the kind of imagination, not just retail focussed, but residential and recreational focussed, which is so far yet unseen. Good article and definitely an overview of what is happening in so many old towns. There is one important piece to this puzzle which missing however and the same applies on larger scales. Infrastructure. Everything comes off the back of infrastructure first and foremost. In the case of Naas, there is a critical need for a convenient and centralized carpark so that people don't need to think about where they can park or if they will get a space here or there and have to drive around searching. Like it or not we are a vehicle dominant society and people use their cars to get into town. They currently favor the likes of Monread and Newbridge because there's no thought required on getting there and getting a park. Easy and and convenient. Once the infrastructure is there, business and people follow.